In a large pot, bring 4 quarts of salted water to the boil. 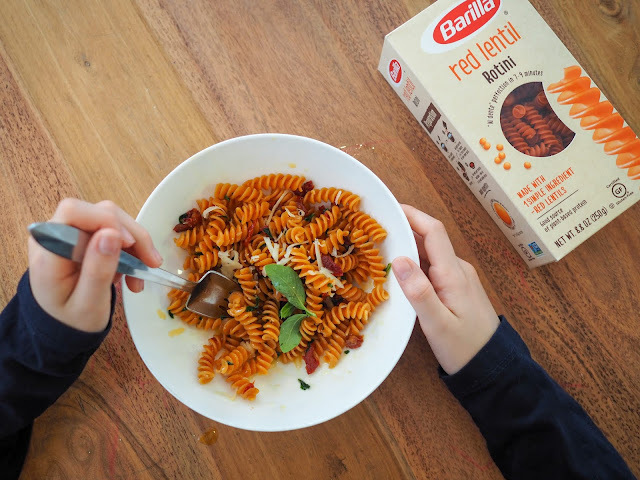 Once boiling add the Barilla Red Lentil Rotini and boil for 7 minutes for perfect al dente pasta. 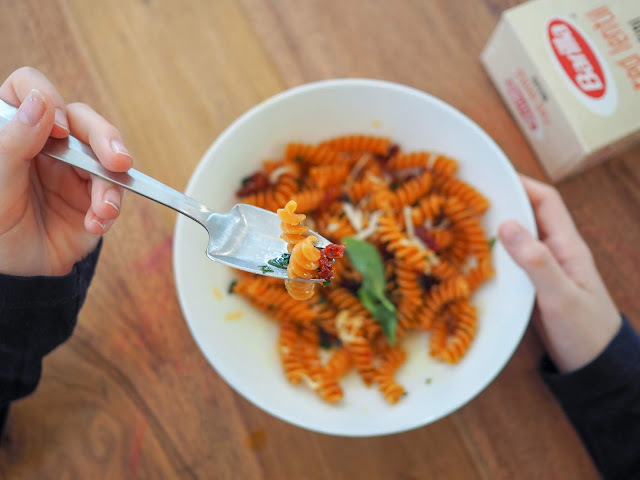 If you prefer more tender pasta, boil for a minute or two longer. 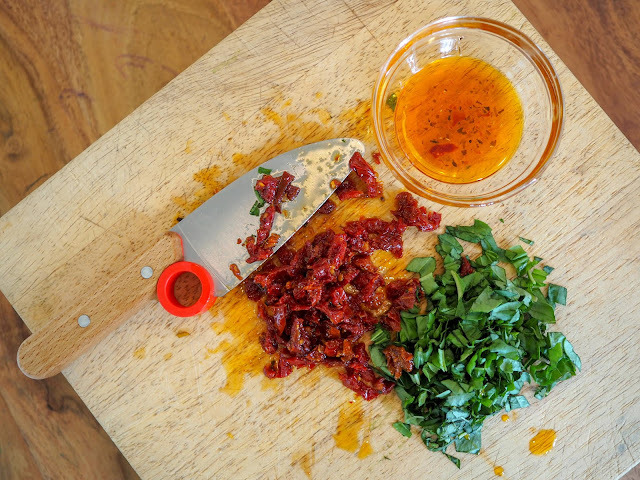 Finely chop the sun dried tomatoes and fresh basil. Melt the butter in a large pot over a medium heat. 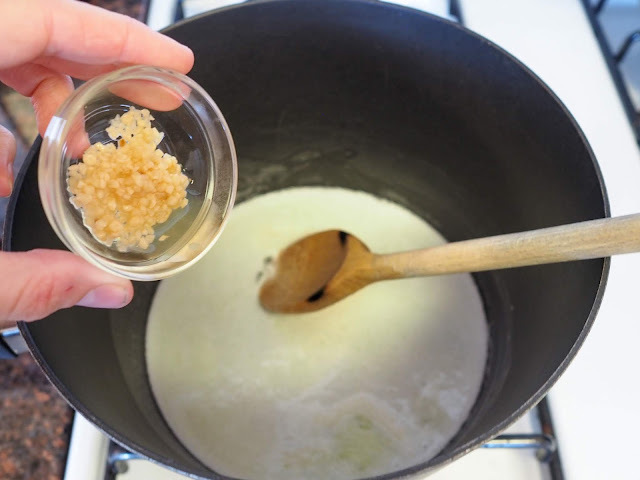 Once the butter has melted add the garlic and stir to cook until softened. 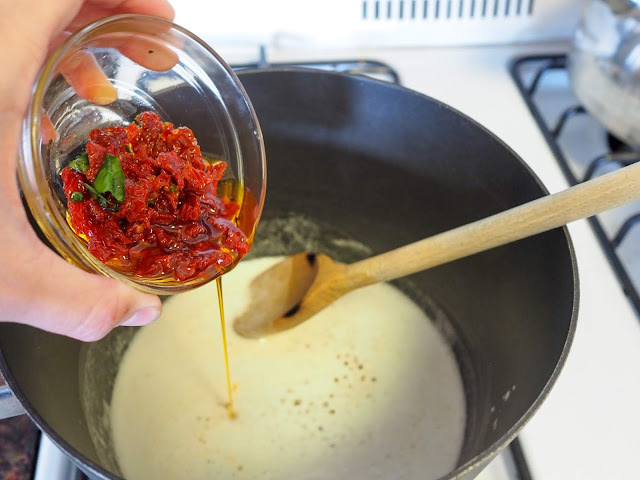 Add the sun dried tomatoes (including the oil) and basil. 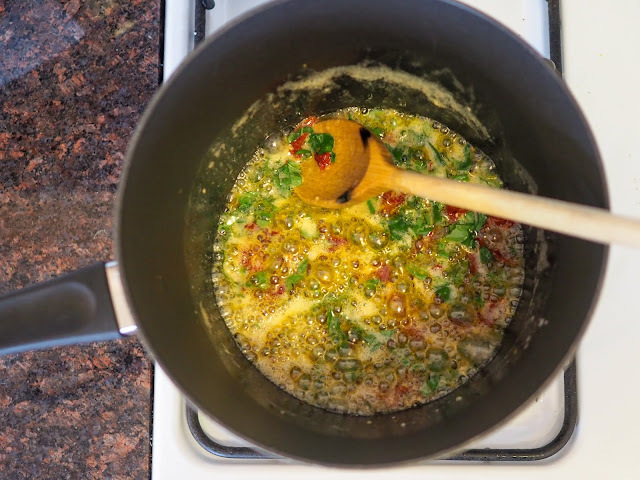 Stir the ingredients together and cook for about a minute, stirring continuously. You don't want the tomatoes or basil to brown. It will smell so good! 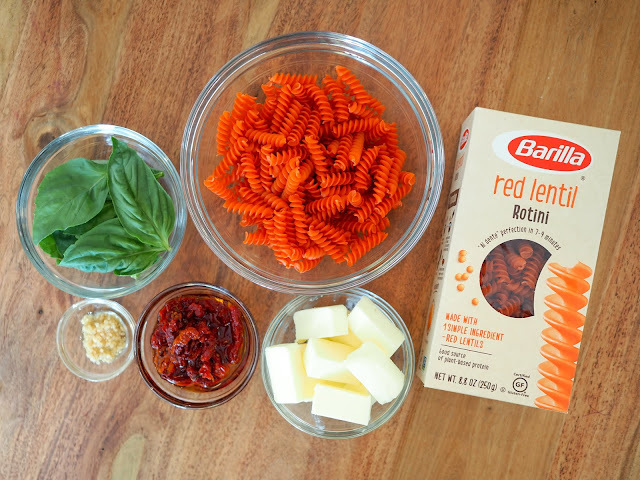 Once the sauce is done, pour the cooked pasta into the pot and give it a good stir. 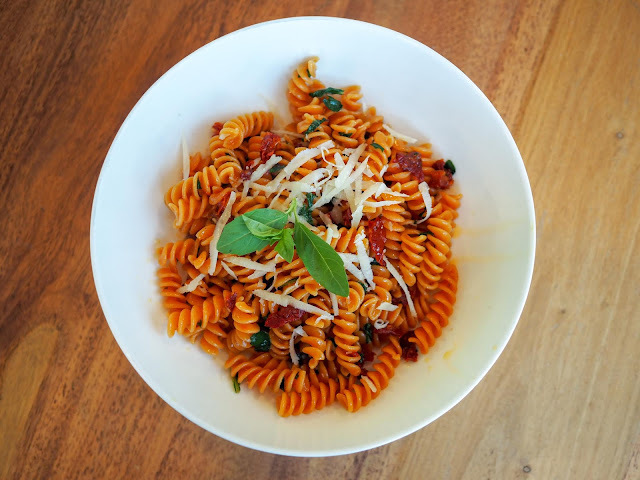 Serve it up with a little grated parmesan cheese and a few fresh basil leaves on top. Doesn't it look good? 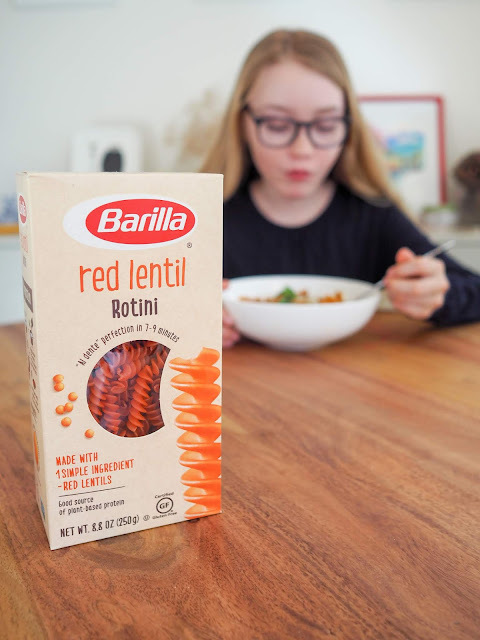 If you're looking for a grain free, gluten free option packed with fiber, Barilla Red Lentil pasta is it! It's a great source of plant based protein, is non-GMO certified, and as I mentioned earlier, it tastes great! 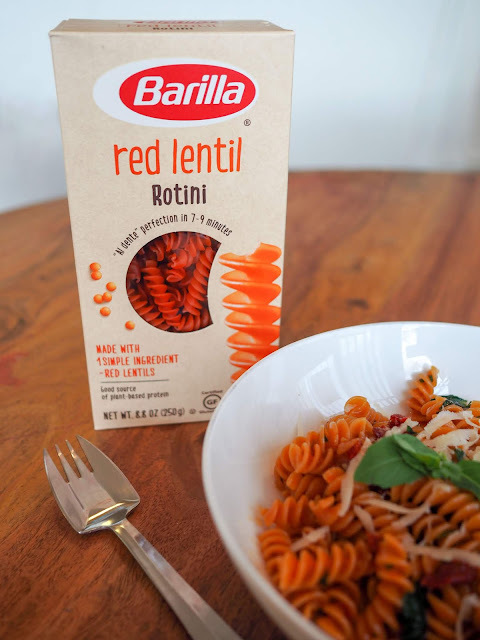 This recipe is perfect for vegetarians and as Barilla Red Lentil pasta is vegan friendly, you can easily switch out the butter in the recipe for extra virgin olive oil and skip the parmesan cheese for a vegan friendly recipe too. 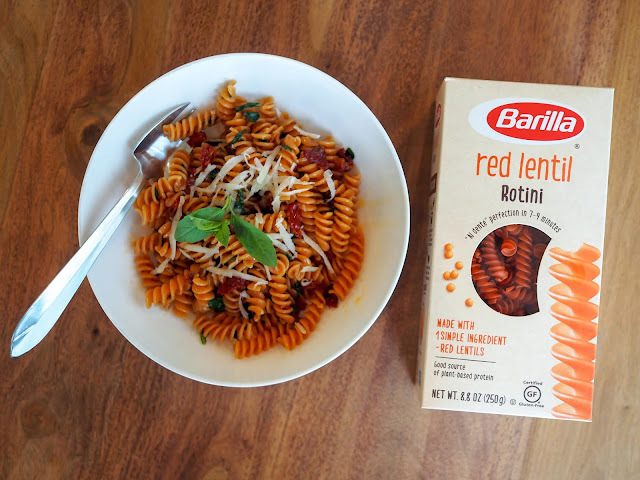 You can purchase Barilla Red Lentil pasta by clicking here. 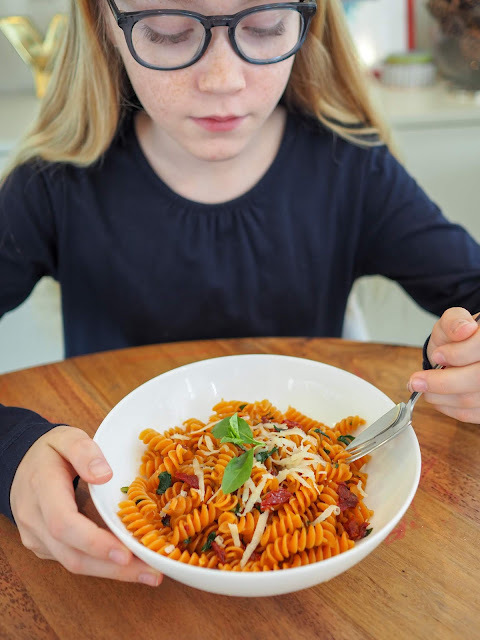 I'd love to hear what you think about this grain free alternative to regular pasta!